If you’ve never used dryer balls before, it’s time for you to start! Dryer balls are amazing. They help your clothes dry much more quickly, which is good for them and good for your electric bill. You want to “cook” your clothes for as little time as possible, for their health and longevity. And who wants a higher electric bill? 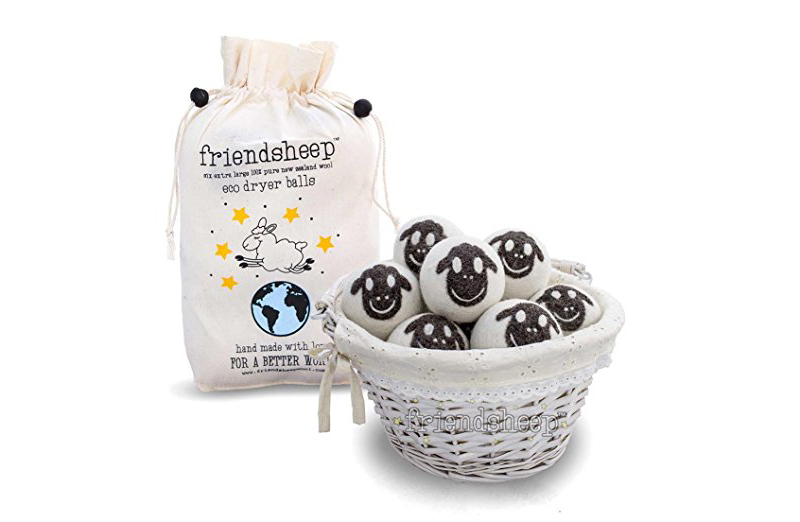 Dryer balls also help clothes come out wrinkle-free. Which, for most styles, is a plus. These things are just so adorably cute. They’re made of wool. Eco-friendly. Fair trade. Great for the environment. Great for your clothes. Great for your household budget. I originally bought a set of six of the Penguin Dryer Balls. But then my son did laundry at our house. And mysteriously, we only have one cute little round penguin dryer ball left. Clearly these things are addictive. So this time I’m getting sheep ones. That way, if random penguins start re-appearing again, we know what is going on. Or maybe the sheep will vanish, too. And we’ll have to get a third shape. Whatever we get, we’ll definitely be getting more. Because these things are just amazing :).